You Really Don’t Have an American Express Bluebird Yet? There was a tremendous frenzy last year when you could buy reloadable money cards at office supply stores, earn huge bonuses, load the money onto the Bluebird by American Express. It was an almost free way to generate large numbers of points. That opportunity didn’t last forever, they never do. But Bluebird remains a very useful, valuable tool in the arsenal. There are plenty of times you’ll say, “gosh, I’m reading about all these things I can do with Bluebird and I don’t have one.” Since it gets sent in the mail it can take time to get, so it’s better to have it now and use it later than not to have it when you want to use it. And it’s free to get. That’s why I genuinely don’t understand folks who don’t get one. Many CVS stores still sell Vanilla Reload cards. You can buy them in varying amounts, but you want to put $500 on each card (since that card costs $3.95, no matter how much money you put on it). My local CVS used to sell me as many as I wanted, though individual transactions were limited to $1000 plus fees. So if I wanted to buy $3000 in Vanilla Reload cards, we had to do three transactions. Once you purchase the cards, you go to the Vanilla Reload website, enter the PIN code from the card and your Bluebird card number, and the funds instantly credit to your Bluebird account. You can load up to $1000 per calendar day, and $5000 per calendar month, onto Bluebird this way. 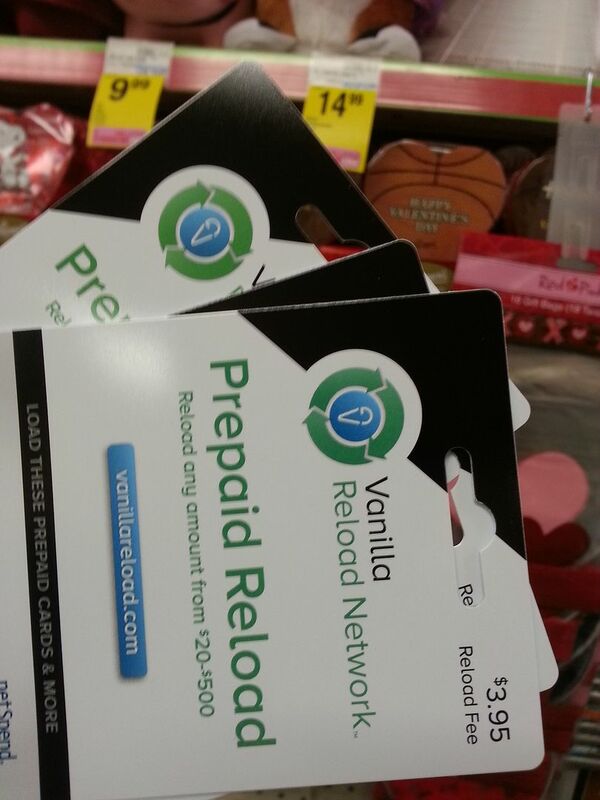 If your local CVS or other store does not carry Vanilla Reload cards, some gift cards with PIN codes can be used as debit cards at a Walmart Moneycenter to load Bluebird. Mileage-earning debit cards can be used as well, and the same limits apply. Even if your CVS doesn’t carry Vanilla Reloads, you may run into some along the way in your travels. So it can’t hurt to be prepared. I closed a checking account this past weekend because it was a secondary account and the bank increased the amount of direct deposit they required in order to avoid monthly fees. In a post-Dodd Frank world, checking account-only customers at banks have become increasingly costly to service, they’ve become less profitable (and even a cost center), and so banks have responded by increasing fees and shedding customers who don’t provide other business. So it’s actually rather remarkable that American Express has stepped into this breach with a product that has virtually no fees. They’ve created a checking and debit alternative with no monthly fees, no overdraft fees, and no minimum balance requirement. There’s a mobile app, it accepts payroll direct deposit, and electronically transfers funds with outside checking accounts. I think American Express is positioning Bluebird for those unhappy with their banking arrangements, folks getting hit with fees. They’ve partnered with Walmart in this, and that tells me something about the demographic they expect to benefit from the product. At least, Bluebird is better public policy than most financial reforms ever could be. It isn’t just a product for consumers unhappy with bank fees, it’s a tremendous product for the unbanked. And in that way I think it’s genuinely good for the world. It’s a no or low cost banking solution that puts accounts in the hands of people who can’t otherwise access banks. It replaces check cashing stores. It has the potential to bring an entire section of the country into the banking system that’s been otherwise shut out (or if they’ve had access to financial products, it’s been costly ones, only marginally better than check cashing stores). I actually see this as a poverty-fighting tool from a public policy perspective. I guess the point here is that Bluebird isn’t just for mileage-junkies (who knew?). But it is for mileage junkies — as a tool in mileage-earning, and even as a financial tool with the ability to make payments, move money, and hold funds all at a cost that in most cases is zero. I agree Gary. Having started using BlueBird since its’ infancy, my wife and I each have one providing a robust $10K/month in VR possibility. Quite frankly I am surprised that anyone(with BB availability) who takes the points game seriously(and lets face it, either play the game seriously or why bother?) is NOT using BB and VR’s. I cannot think of a single better way(besides sign up bonuses) to accumulate significant point balances. I’m unsure as to how long this will last but both AMEX and CVS seem to embrace it based on their latest verbiage and actions(new $5K daily limit). Let’s hope it is not abused(i.e. load $5K immediately move etc…) and see where it takes us. I am VERY new to the points and card game and am trying to research as much as I can. The BB / Gift Card / VR routes are if great interest to me but I have been reading in multiple blogs and forums that CVS, Walmart, 7-11 and many others are now not letting you refill or purchase these types of cards with either credit cards or other gift cards. I noticed even VRs own website states cash now. Can either of you confirm or deny that this can still be done (using CC) legitimately ? I see the huge potential you mention in point earning and think this is great if still an opportunity. In addition to the VRs you can get, you also can get Chase Visa Gift Cards, which, according to law, have to be issued with PINs, which enable you to load them onto BB through Walmart’s Money Centers,ATMs or even at their regular registers. You can even use the Chase cards to purchase low fee Walmart Money Orders which can be deposited into checking accounts,then you use the checking account to pay off the credit cards. Speaking of the 5,000 CVS new limit. No memo to my CVS yet. Any ideas on how to “convince” them that the new limit is 5,000? It will save me some trips. @Geoff – yeah, but the USVI has, well, the USVI for Pete’s sake!!!! I signed up for a Bluebird, but I’m still waiting for my app to be verified since they wanted a scan of my social card. I couldn’t find it so I’m waiting for a new one to be produced. But this is my plan to hit my 25K spend in order to avoid the Premier Qualifying Dollar requirement on United. And since Bluebird also has checks, paying rent with Bluebird sounds like an amazing plan. How do you get the money back into your bank checking account. And if you do so repeatedly isn’t there a big chance your bank will shut your checking accounts down? Gary, when you .mention how BB was “supposed” to be used, and also refer to the unbanked, I think you leave out one very important point. There is a HUGE cash-only economy in the country. Food service, construction, manual labor. These folks are the prime target for BB. They can deposit cash at WM, where odds are statistically they are already shopping, or they can buy VR or other cash cards as a proxy using cash (which, lets face it, is the way VR was intended to be used). Being able to tap into, quantify, and eventually monetize this huge underground economy is part of what BB was all about. You want to avoid the increased checking account fees at your bank, yet you’ll pay to purchase these cards? And then have to visit a Walmart to complete your transaction. To me, that’s like the person who’ll drive across town to buy gas a couple pennies cheaper; the cost is greater than the saving. You probably will not want to put the money in your regular checking account. Their bill pay is excellent, just pay back the card you used to buy the VR. But, if you really need to, buy a money order from Walmart (as mentioned above). Obviously, that costs a bit more. My bank really has no fees to speak of. Yes VR’s have a $3.95 “activation fee” but to me that is a small price to pay for 500 points/miles. The trick is to use VR’s to unlock points and subsequently bonuses that require large minimum spends. For instance, buying 10 VR’s for $39.50 to hit $5000 spend on one of several Chase cards grants 40-50,000 Ultimate Rewards points. Same basic math for AMEX UR’s. Add to that one’s usual spend and VR’s are point gold(Platinum?). As many have pointed out, many people’s largest bills(mortgage/rent, utilites, etc..) simply do not take credit cards. Using BB for this sort of spend while a bit cumbersome, is the proverbial Holy Grail for point and mile collectors. the VR cards are problematic because in multiple cities, i’ve encountered CVS not allowing credit cards to purchase VR cards and the transaction must be made with a debit card. it has happened to me all over southern california, las vegas, phoenix and portland. Gary – Surely you know how Amex intends to make money off of this….merchant fees. BB has such an advantage over traditional v/mc debit cards, its not even funny. While pure load/billpay custys don’t help their math, anyone actually using the card provides for a significant profit for Amex (at no direct cost to the customer). Wow, an affiliate link for the Bluebird card? How come all the others have not jumped on this? Did you get it first? Are we about to be bombarded with such posts now? Am I remembering wrong, or did I read at some point about someone abusing Bluebird and getting hit with an Amex financial review? That’s a big reason I’m hesitant. I’ve not lied on any Amex applications, but my income fluctuates, and it’s currently below where it was the last time I reported it to them. I’d hate to have my other Amex cards (esp. SPG) closed or have the credit lines reduced because of a crackdown on Bluebird activity. Has anyone been shut down from AMEX BB. I only use my BB for pay Bills and nothing more, not even a small purchase at the store or online shopping. I use the AMEX prepaid to pay for stuff and take $400 per month out from ATM. Any value to Bluebird if one does not live in the United States? I keep reading about this game (I mean plan) and I just can’t seem to get interested enough to get on board. First off there is no way I am walking into a Walmart. Zero. It’s not the clientele (ok yes it is) but also the company. I have my morals, my standards and I refuse to visit them for those reasons. I understand I can use this plan without visiting a Walmart so I get excited as to the possibilities but then I realize I meet my new credit card spends no issues. Owning a business is great as I decide how I pay for supplies. Where I think I might be able to use this plan is for my business rent. I could but VR then load Bluebird then pay the rent via the check option. I have a new building owner and I don’t really care what they think when they receive a bluebird check as long as it’s good and they can deposit it. Can I ACH from Bluebird to a company and if so what are the fees? Just a follow up, as no CVS where I am can I do this with different cards and based on my question/concern earlier is this still a legitimate option (buying VR with credit cards) or is this now only allowed with debit cards therefore requiring a visa gift card with PIN only ? I’m not so sure they’re just targeting a Wal Mart kind of demographic. When I was on hold not long ago waiting to talk to a customer service rep for my Amex Plat card, I was a bit surprised to hear a “hold time promo” for the Bluebird card. If they’re going after the AMEX Plat customers, they are competing for a wide range of customers. So far my CVS is good for buying VR with credit cards. I’ve been hesitant to do frequent transactions, though, since it would be a big change in my credit card habits, and I don’t want to draw unnecessary attention to myself. I use the Bluebird account to write checks to places (such as rent) that don’t take credit cards. @Geoff where are you finding the VR cards? At CVS? Are they letting you charge those cards. Doesn’t seem to be a clear picture of where you can charge those. I have not done VR at all. I have my own business and min spend is not an issue. I do like the idea of paying for some of my personal things via VR though. With 2% cash back cards the VR costs are small enough to make it worth it. How to get it in VT? @robertw: Yes, my local CVS’s carry loads of them. According to the clerks it’s just me and two or three others who buy them. Awesome. I was however able to fulfill both of our Chase Freedoms and their quarterly $1500 bonus threshold for gas before they got pulled! This is a non-starter for those of us who live in New York City. The CVSs/7-11s don’t take CC for VRs. And even if I could buy a pin-based debit/gift card, there isn’t a WM nearby to load onto the BB. What is the best credit card to use to buy vanilla reload cards at CVS? I have quite a few cards and do not need to use VR cards to meet mininimum spends. If you use a Chase Preferred card you get a 7% bonus at the end of the year. There are others that probably give you a category bonus but those are limited as to how much you can get. I have a Bluebird card and have gotten it recently. I am able to buy things online, but when I went to buy something at a store I was declined. What’s the matter? I’ve had great luck with using BB/VR to pay my non-CC expenses. That’s several thousand a month in points that I would otherwise not receive. But, I really have only been using this option when I can get 5X points for the VR purchases (Freedom/Ink at 7/11) or I’m trying to hit new CC minimum spend req’s. I’ll have to do a bit more in-depth analysis to see if spending $39.50 for 5000 pts. is a better deal than I originally thought? At 79¢/pt that a pretty thin margin with all the devaluation going on but for the right reward or to get me to a certain goal it may be worth it. Thanks for all the food for thought! Don’t have this card with you outside of the USA. It is worthless if you are in another country. I am in Ukraine and not a single ATM nor a single bank will even look at the card let alone give you cash with it.